I’ve always been fascinated by the music regardless of gender, by sounds and emotions that they have always provoked to me. 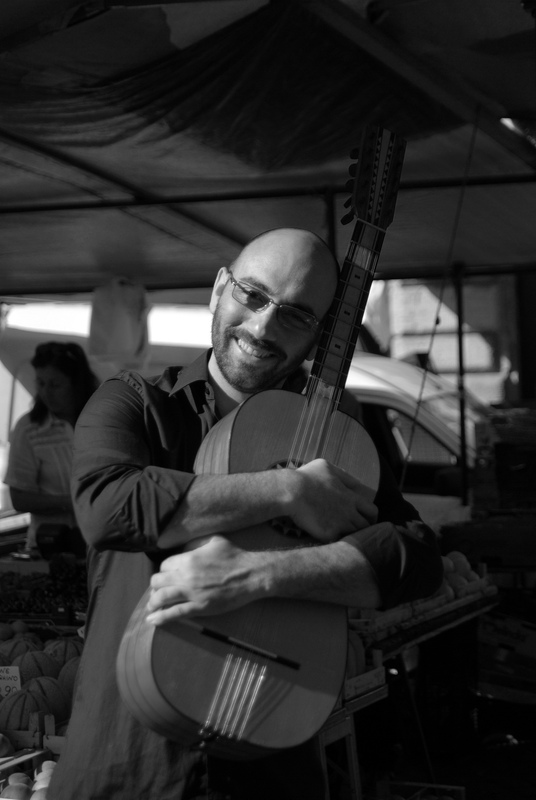 At the age of twelve, I picked up a classic guitar, that filled with discordant notes the beaches of my summers in Calabria, the winter evenings by the fireplace and in the street with my friends. At 18 years old I moved from Catanzaro to Pisa to pursue my engineering studies , without abandoning music, or rather, finding new friends I could enjoy blues rock covers with, from Pink Floyd to Led Zeppelin, through Eric Clapton, Pino Daniele, Police and, of course, Fabrizio De André and Francesco Guccini. The subsequent transfer to Rome marks a crucial change of tack towards the south- centre Italian popular music: in October 2007 a chance encounter with Gianluca drags me into the middle of the tumult Senzaterra. Just a tambourine, a tarantella and a glass of wine are enough to reawaken the memory of the music I used to listen to when I was a child in my Calabria and tie me up indissolubly to the group and friends who make it up. The change to the battente guitar, an instrument of the fourteenth century, widespread in Southern Italy is almost natural and I am a happy and a proud owner of a De Bonis one. I am a Brigante, I like Pirates, free thought and pasta with the ‘nduja!